So far Chang-Hong Whitney has created 3 blog entries. 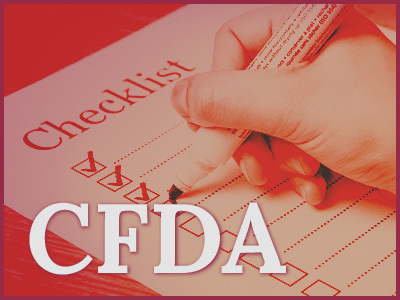 Today (Oct. 31, 2017) CFDA released a proposed amendment to the current Medical Device Regulation, which is the medical device law officially released in 2014. The proposed amendment has been released and is open for public comments for the next two weeks. 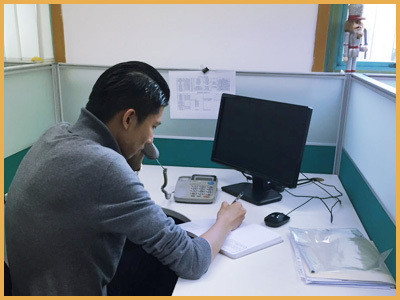 Defining the responsibility of the China Agent for international companies, as to assist communication with CFDA, participate and report adverse event or recall activities, share responsibilities with the manufacturer for product defects or violations. This definition further clarifies the confusion between the Legal Agent for regulatory and the Distributors for sales of products, confirming that the Legal Agent is for regulatory work only, not necessarily for product sales. Softening the requirement for product testing, including self-testing by the manufacturer or by a contracted testing facility. This clause removes the mandatory requirements of in-China testing for Class II and III products, opening doors for other opportunities for product testing, which would benefit the manufacturers in terms of shorter time and less cost. Softening the clinical requirements for Class II and III products, allowing non-clinical evidence ahead of clinical trial. The change is moving toward the generally accepted guidelines internationally that non-clinical evidence should be considered before a human/animal trial is used. Accepting overseas clinical data for Class III high risk products. This change is major for international companies. However companies need to be sure that its global trial includes Chinese or Asian patients. Accepting self-testing reports or by a testing facility for innovative products. This change is in line with the renewed commitment by the Chinese government to encourage innovations and new technologies. Strengthening post market surveillance and a penalty clause for violations. This major enhancement is aimed at tightening control on products on the market. Violations will be penalized, including the manufacturer being banned from the Chinese market for two years. The above are preliminary and for the time being. As we learn more and understand the essence of these changes, we will update our findings via our blog and twitter. So please stay tuned. from my office in Beijing all the way to our clients in the U.S. or other countries. How we react and manage such requests and mobilize our support at the client side ultimately tests the resolve and tenacity of the Whitney team and our prospective clients. Under the new CFDA regulations of 2014, reviewers for submissions have only one round of written questions after their first review. Due to the rule changes, the opportunity to meet with the reviewer to go through their questions and answers has been greatly limited. We are allowed two face-to-face meetings with the reviewer, and only with pre scheduling. Even if we have submitted the documents as per our discussions, reviewers can ask additional questions or raise new topics during their second round of review. Since no more written notification is permitted, the reviewer can opt to call the submitter and ask for additional information to be provided ASAP because he/she is now under the clock to push the submission out, and mark it as either approved or rejected. The recent requests seem to be mainly about documents regarding the product’s life, the product packaging, and information on material. Reviewers may ask for design input and output documents, validation and verification reports as well as detailed COAs for materials. For legacy products, these documents may not exist or might be buried in the bottom of file drawers. But seeing the current trend of reviews, we want to alert all companies to get these “ancient” documents ready for submission and review. Being without these documents could mean rejection of submissions, the cost of which is not just the time (1.5 years to 2 years) but the money spent on testing and submission fees to CFDA. 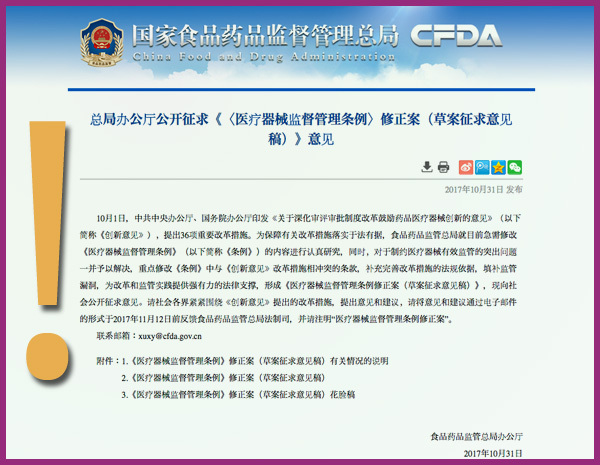 Surely CFDA has only one round of Q&A by regulation, but we should always be prepared for the second round, which is more demanding and time sensitive. I hope companies, especially my clients, are ready for a call or email with the title “URGENT – CFDA questions” and respond as quickly as if our lives depend on it.